Body Builder connections end of frame provides access to the electrical lighting connections. The circuits provide for separate STOP and TURN signals. Mating connectors are located in the cab when the truck is delivered. If a combined Stop/Turn is required, use the in-line connection point in the rear lighting in-line connector. Three body builder option connectors are in the cab and engine harnesses. These wires provide a pass-through for add-on wiring from the engine compartment to inside the cab. They are single wires, with plugged connectors, circuit numbers 999A, 999B, and 999C. They are located near the engine pass-through on the engine side, and inside the dash, behind the instrument cluster, on the cab side. Note: A body builder connector is installed with 14 wires for passing circuits through the cab floor. Cable kit 85148537 is for connectors 1 and 2. Cable kit 85146080 is for connectors 3 and 4. Cable Seals-choose by insulation O.D. The basic prep package installed in all VHDs prewires for the most commonly used body builder circuits. It includes fused battery power circuits (both switched and unswitched), ground, Reverse power, and access to the 'stalk' PTO engine speed adjustment circuits. A 31-way pass through connector in the cab floor is included for passing circuits from inside to outside the cab in a safe, weather-proof manner. In addition, there are two unassigned circuits (MAAA1 and MAAB1) installed in the 102-way pass through from the cab to the engine compartment for body builder use. 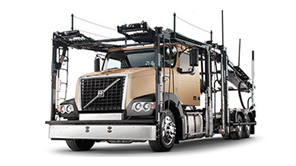 If the vehicle is equipped with an Allison Transmission, additional Allison-specific circuits are pre-wired to the body builder connector, as well. The following tables list the pinout and mating connector information for the 16-way body builder connectors which are part of the ELCE-PK package, located on the cab floor between the seats. This is the 'basic' prep kit; Available with all engines. Content is the same for all engines, but differs depending on transmission. Note: Verify fuse numbers and values with the fuse legend decal installed in your particular vehicle. A X03DH3 X03EA2 Body Builder Ground Return 30A Max. C F19A1 F43A2 Fused, Unswitched Battery Power 30A “Body Builder” Maxi Fuse; 25A Max. D F35A1 F65A1 Fused, Ignition Switched Power 15A “IGN-X” fuse; draw 12A Max. H F47A1 F64A1 Fused, Ignition-Switched Power 15A “IGN-Y” fuse; draw 12A Max. J F46A1 F29A1 Fused, Ignition-Switched Power 15A “IGN-Z” fuse; draw 12A Max. M F65A3 F34C3 Remote PTO1 Output Active High Output; 4A Max. 1 The function of all Allison-defined circuits (Axxx) will depend on the chosen Vocational Package. Always refer to Allison Documentation for details. Note: Allison-Only Circuits numbered "Axxx": Refer to Allison Transmission documentation or Body Builder Transmission service bulletins (using the "Axxx" circuit references) to determine the exact function of each Allison circuit, as they can vary depending upon the vocational package chosen. These unswitched and ignition-switched power feeds are provided for body builder's use. Note that each circuit is fused by either a Maxifuse in the Power Module, and/or a minifuse in the standard Fuse and Relay Center. Observe the maximum current capabilities of each circuit. Note: NEVER increase the size of the fuse beyond what is listed above (or on the Fuse and Relay Center decal). If needed for the application, though, the fuse size may be reduced as dictated by load of the attached equipment. Doing so may affect the PLC4TRUCK signal, resulting in a loss of trailer ABS malfunction indication. If you will be connecting to a trailer equipped with the PLC4TRUCK system (basically, any air-braked trailer manufactured after March, 2001), it will be the user's responsibility to ensure that any add-on electrical equipment does not interfere with the trailer ABS malfunction circuit function. This ground circuit should be used as much as possible for all body builder ground needs. It connects to a ground stud on the vehicle firewall which is a central ground point for all vehicle electrical loads. Note the maximum current capacity of the circuit (dictated by the 6.0mm2 conductor size) of 30A. This is a 10A (max) circuit, live when the transmission is placed into REVERSE gear. It shares a relay (RLY14) and fusing (F63) with the lift-axle logic: when the transmission is not in reverse, the lift axles are allowed to operate; when the transmission is in reverse, circuit F63H2 receives power. Two relays are provided which are controlled by the Allison Transmission circuits N145A1 and N130A1. See the diagram below. 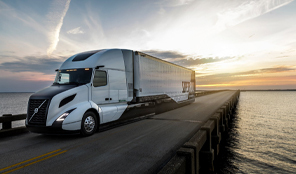 Refer to either Allison Transmission documentation, or the Body Builder Transmission service bulletins, for details on the exact functions of these circuits, as they differ depending upon which vocational package was chosen. These circuits are provided for "remote" adjustment of the engine speed while operating in "stalk PTO" mode. They are connected to relays which operate in parallel with the "SET+" and “SET-" stalk switches, and will allow trimming of the PTO engine speed just as if the in-cab controls were used, except for the added requirement that the vehicle's park brake must be set in order to use these "remote" control circuits. As with the in-cab stalk PTO mode of operation, the Cruise Control On/Off switch must remain "on". The 'base' PTO set speed should be selected before exiting the cab. 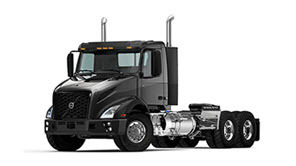 These circuits are usable on both VOLVO and Cummins engines (VNL only), with the same mode of operation that each engine has concerning the in-cab "stalk PTO" operation. Refer to the "Stalk PTO" topic in the "PTO Functions" section of this document. These circuits provide access to the single PTO function of the VECU, and are usable with the VOLVO engine only. 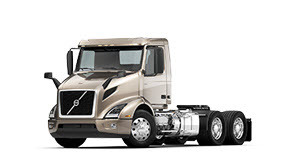 If more than one PTO function is required for your application with the VOLVO engine, a body builder module (BBM) ECU will be required - refer to the section on the ELCE-CK prep package. For a complete description of the PTO1 Input/Enable and Output functions of the VECU, please refer to the "VECU Functions" section of this document. For all wired-PTO functions with the Cummins engines, it will be necessary to wire directly to the Engine ECU. Refer to the section on the ELCE-EK prep package for available pre-wired circuits, and also to Cummins Engine Company documentation for PTO operation with these engines. 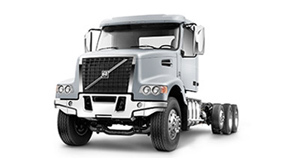 ELCE-PK is standard equipment on all VHDs (truck and tractor), unless specified otherwise. ELCE-PK is available with all engines. ELCE-PK is available with all transmissions; additional content is included when Allison transmission is specified. The wiring for the PTO Relay (RLY07), PTO DASH SWITCH, and "PTO" fusing are present in every VHD; the components themselves are only installed when one of the available PTO-prep options are ordered. The function of all Allison Transmission circuits (Axxx) will depend on the chosen Vocational Package; REFER TO ALLISON DOCUMENTATION FOR DETAILS. The "complete" prep kit adds a body builder module (BBM) electronic control unit (ECU) and associated wiring to the standard "basic" prep kit. The ELCE-CK kit is only available with a VOLVO engine. The following tables list the pinout and mating connector information for the 16-way body builder connectors which are part of the ELCE-CK package, located on the cab floor between the seats. In addition to all the circuits listed above in the ELCE-PK package, the ELCE-CK package adds the body builder module (BBM) electronic control unit (ECU), together with the following circuits brought out to two additional connectors located between the seats (same location as -PK package). L MB10A1 MB10A1 Remote Throttle V-Ref (5V) Output See Note 2 and Note 3. Engine Shutdown Input #1 is always enabled. Do not install a switch at that position if function is not required. Engine Shutdown Input #2 must be enabled in software, and once enabled will shutdown the engine unless ground is present at that input. For stationary 2nd Throttle use, it is recommended to add a redundant Park Brake pressure switch in series with the Remote Throttle Enable Input (see schematic). This will allow remote throttle only while the park brake is set. 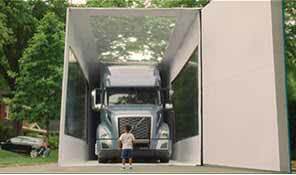 DO NOT tie into the factory-installed Park Brake pressure switch for this purpose. For non-stationary 2nd Throttle use, an Accelerator Pedal with Idle Validation Switch (IVS) is required. Circuits for the IVS are not brought out to Body Builder Connector #4. Refer to the BBM ECU section of this document for details on the circuitry needed for a 2nd driving position. All part numbers shown are Delphi / Packard, unless otherwise noted. 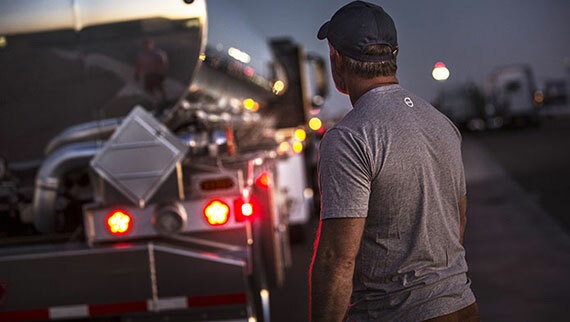 ELCE-CK is standard equipment on VHD trucks; optional on VHD tractors. ELCE-CK includes all contents of the 'basic' prep (ELCE-PK). 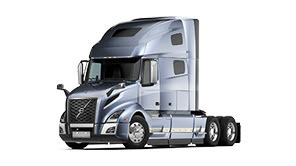 ELCE-CK is only available with VOLVO engines. ELCE-CK is available with all transmissions.